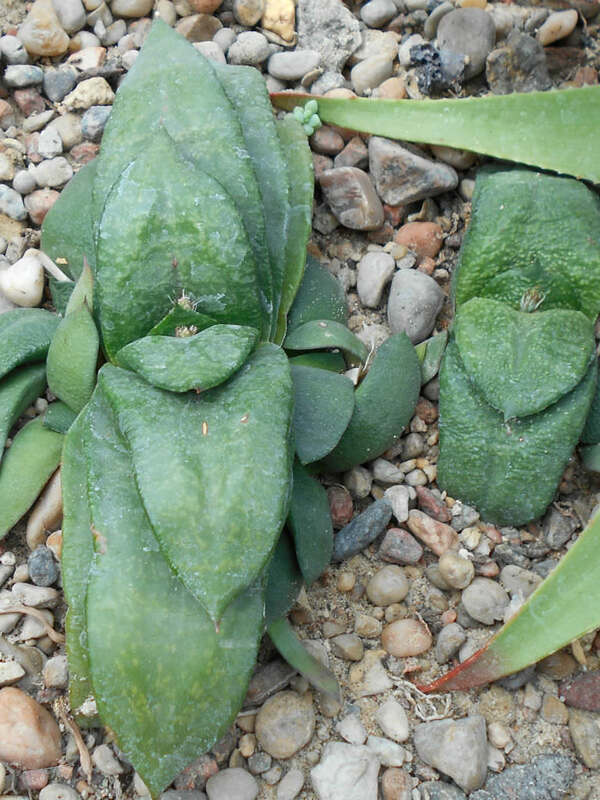 Gasteria nitida var. armstrongii (Schönland) van Jaarsv. 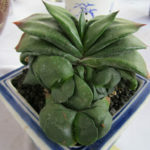 Gasteria nitida var. 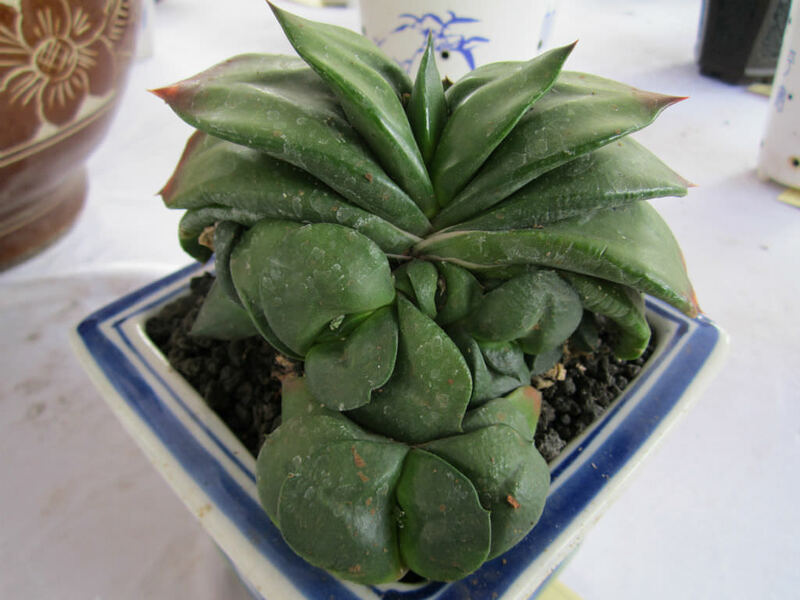 armstrongii is a dwarf, slow-growing, succulent plant, similar, but much smaller then Gasteria nitida. 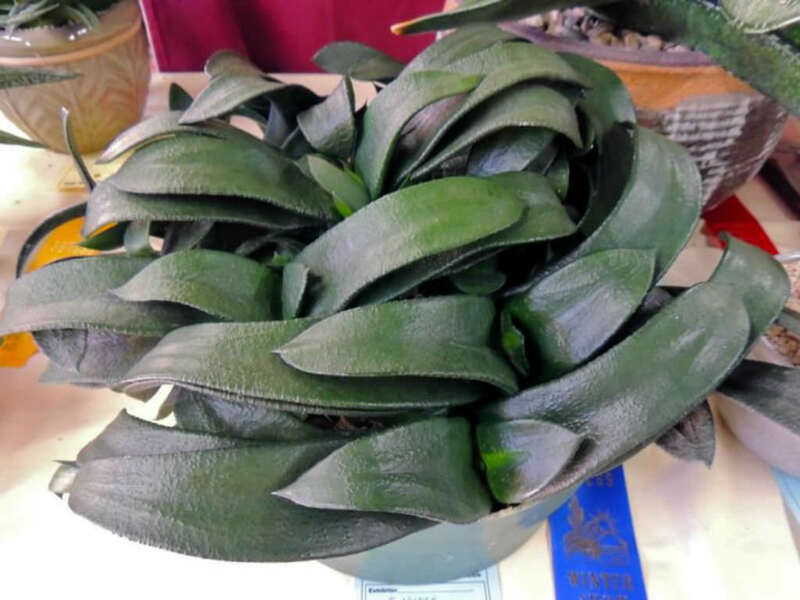 It can be distinguished by its very dark, retuse, distichous, roughly tuberculate leaves. The short, thick rosettes of 2 to 4 leaves are up to 4 inches (10 cm) in diameter. 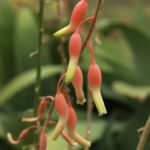 The inflorescences are up to 20 inches (50 cm) tall and unbranched. 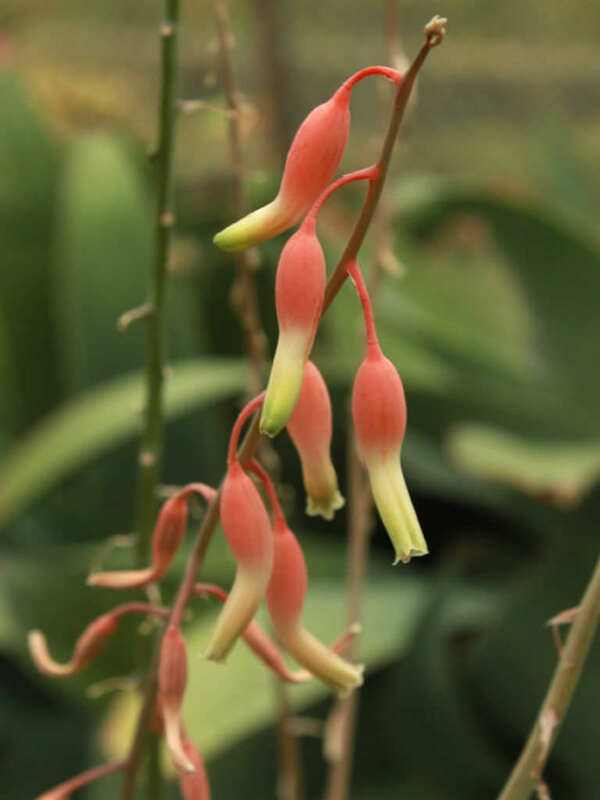 The flowers are up to 1 inch (2.5 cm) long, pinkish-red, stomach-shaped and yellowish-green tips. 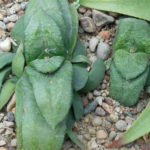 Native to the Eastern Cape grasslands of South Africa.